‘Shake a Tail Feather’ and ‘Gimme Some Lovin’ for this brilliant PSN for a microbrewery and home brew specialist. Spotted by punster Kelly McInnes in Woolloongabba QLD. 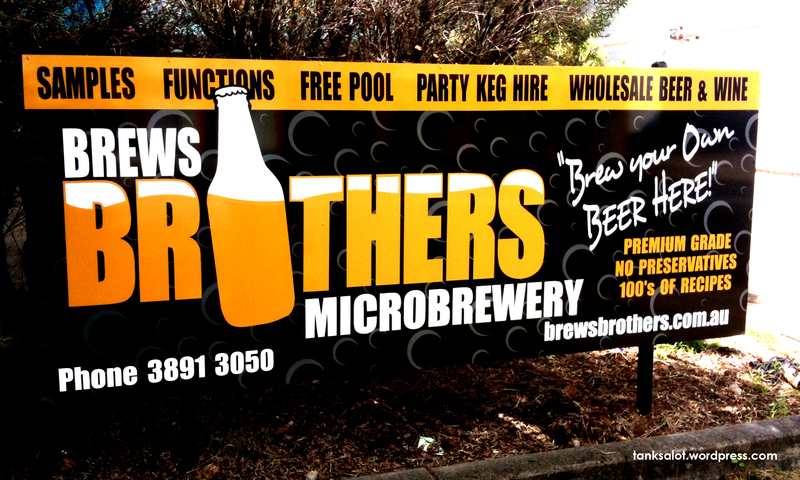 Similar to classic bottle shop, Booze Brothers. “Doood.. dude!” “Yeah… errr.. wha?” “Man, thish homebrew beer is sho good, we should open a shop.” “Awww yeah!” “But dude.. what do we call it?” This great pic was again sent in by Pete Majarich, from Boulder Colorado.